Let’s have a conversation about American photographer, Russell Lee (July 21, 1903 - August 28, 1986). 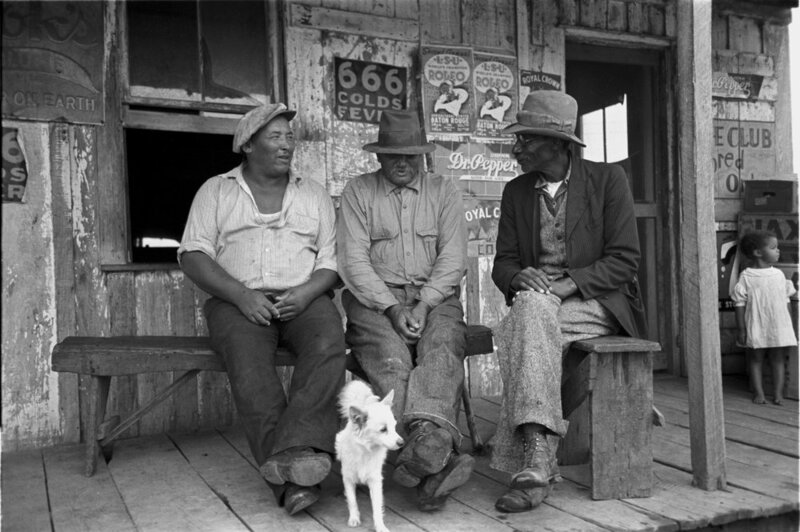 This image is from his work with the Farm Security Administration (FSA). I wanted to include these three gentlemen having an actual conversation so it reminds us what a conversation looks like. Look, no phones or other devices in front of their faces…nor does the young girl in the background have a scowling, disengaged look on her face. Don’t get me wrong, I love my iPhone, tablet, computer… but when was the last time you saw real connection and face-to-face conversing actually happening? Wow. Just, WOW! 2. As I mentioned, Lee was one of the photographers of the FSA program. His contemporaries in the FSA included Dorothea Lange, Walker Evans, … however, Lee may have been the only FSA photographer who used a camera flash to capture images that would not have been possible without the additional lighting. 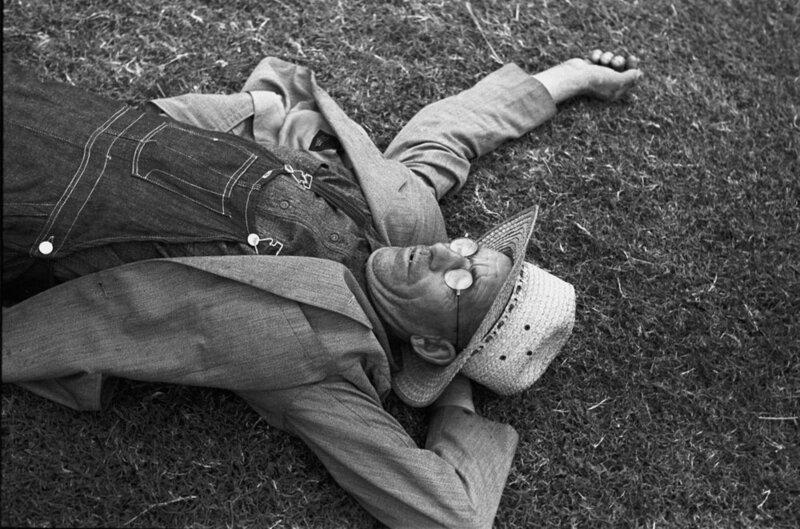 As a bonus nugget from his time with the FSA, Dorothea Lange referred to Lee’s images as “second lookers”. These “second lookers” were photographs “whose visual and human qualities endure beyond specific projects and time periods”. * This is high praise indeed, coming from the artist who gave us the iconic “Migrant Mother” from her work with the FSA. 3. His more notable non-FSA bodies of work include studies of the Spanish-speaking people of Texas; the mentally and physically disabled; commercial work; images from travel… but did you know he also documented Texas politics in the 1960’s. He worked for both the politicians, as well as the New York Times Sunday Magazine for a story on Texas politics. Some of his images from the Ralph Yarborough campaigns are among my favorites. Most of these images stayed true to his documentation of the human condition rather than the politicians themselves. As a result, they captured slices of life and people that could have been a part of the fabric of my childhood. This nostalgia may be why they are among my favorites, but I think it is much more than nostalgia. I also thought it was interesting to note that The University of Texas Press book, referenced below, describes a letter from Yarborough to Lee that mentions the inclusion of a $49.50 check for 33 photographs. I am pretty sure Lee’s images are worth W-A-Y more than $49.50 each, let alone for 33 of these beauties… even in 1963 dollars. Happy birthday, Mr. Lee! Thanks for the memories and inspiration. Now, I challenge you to have one honest to goodness in-person conversation today in honor of Russell Lee.